MGA’s full-time professional school offers options for up to four years of training. Students audition to enter a course at the level most suitable for them. With hard work, determination, the outstanding training at MGA and subsequent support network, our graduates can go on to long and fulfilling professional careers. Courses have been designed after thorough consultation with leading theatre practitioners from the UK and United States. Faculty members and graduates from some of the world’s finest performing arts institutions including The Royal Academy of Dramatic Art, Bird College, Laine Theatre Arts, Mountview Academy, The Royal Academy of Music, Arts Educational and New York University have helped MGA create comprehensive and effective set of courses currently offered. MGA is proud to be offering these training opportunities in acting, singing and dance in Edinburgh. The contact hours and range of specialist classes included reflect those of the most successful training establishments across the UK and USA. Anything other than this quantity of hours is short-change for students’ development. These courses are aimed at preparing students for a career in performing arts or helping them progress to the next stage in their training. Great emphasis is placed on developing practical skills and the application of these skills in performance, with opportunity for personal and professional development. Prospective students who are unsure about which course is most suitable for them are encouraged to contact MGA to discuss their application. This is an important decision and MGA is more than happy to chat it through with you. MGA’s training in acting, singing and dancing is delivered with the highest possible standards expected from its students in each discipline. MGA operates on the belief that more can be learned about these disciplines in a few minutes of rehearsal or on stage in front of an audience than can be achieved in hours of classroom-based tuition. Therefore students are given as many opportunities as possible to get in front of a live audience and perform. MGA adopts a policy of student feedback that follows an ‘always honest, always constructive’ philosophy rather than the often-used ‘always positive, almost pointless’ approach. MGA aims to encourage a sense of respect, direction and dedication within the practice and study of performing arts, and the courses on offer require a huge commitment from students – but with the potential for huge rewards. Attracting tutors from across the UK and internationally, MGA prides itself on the high standards of the core teaching staff and their abilities to bring their experiences and unique skills into the classroom and studio. They can actually do what they are teaching you to do! The tutors are complemented by a whole host of well-respected and talented industry professionals and consultants who take time out of their busy schedule to share their skills, lead workshops and shape productions. Read more about our tutors and staff here. Singer, musical theatre performer, actor, dancer, choreographer, director… no matter what you want to do on the stage, MGA wants to help you do it successfully, professionally and lucratively. With the support of a network of casting, management and production contacts, you really will be hard pressed not to make a success of your career after graduating. MGA is thrilled to partner with Bath Spa University from 2018 to offer degree programmes through our Full-time School. Bath Spa University validates the BA (Hons) degree courses passed by students at MGA and this arrangement is reviewed on an ongoing basis to ensure academic standards are maintained. The MGA Academy of Performing Arts is accredited by the CDMT. MGA is extremely proud to be Scotland’s first and only CDMT-accredited Performing Arts school. CDMT ensures the provision of high quality professional training through Accreditation of full-time dance, drama and musical theatre schools and colleges, and has provided the industry benchmark of quality assurance for professional training in the UK since 1979. Full accreditation is only awarded to those schools and colleges that have successfully undertaken a thorough and comprehensive, institutional level review of provision by a panel of CDMT-nominated industry experts. The assessment of provision is made through documentary review, discussions with management, staff and students, observations of teaching and learning, scrutiny of graduate destination data and the review of facilities and resources. Throughout the duration of the accreditation, CDMT undertakes at least one monitoring visit annually and maintains close contact through its Conference of Professional Schools forum which meets three times a year.  The MGA Academy of Performing Arts is proud to be an SQA Approved Centre, as this recognises the Academy’s commitment to excellence in the training of young performing artists. MGA’s SQA-accredited HNC and HND courses not only guarantee students a practical performance-based training, but also a recognised academic qualification in their chosen field. SQA is the national body in Scotland responsible for the development, accreditation, assessment and certification of qualifications other than degrees. Their overall aim is to manage the qualifications system below degree level to allow students to fulfil their potential to participate in the economy, society and communities of Scotland. MGA is an approved centre for teacher training by ISTD – Imperial Society of Teachers of Dancing – and our students now have the opportunity of gaining ISTD Teaching qualifications during their training.